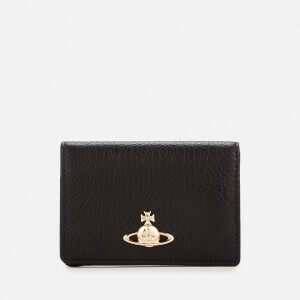 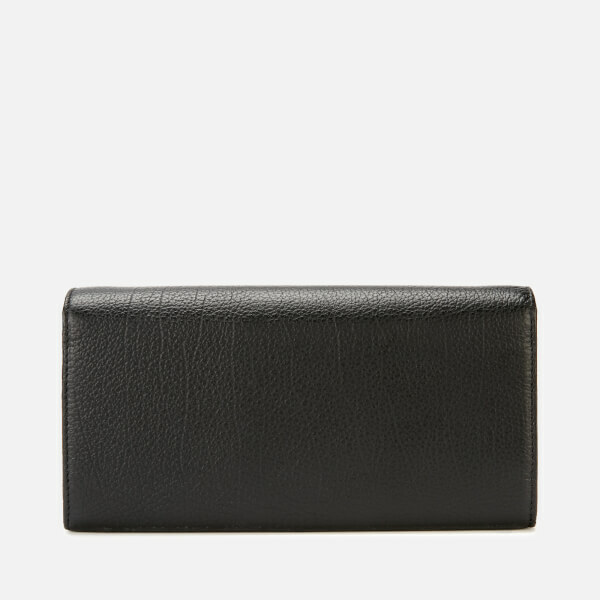 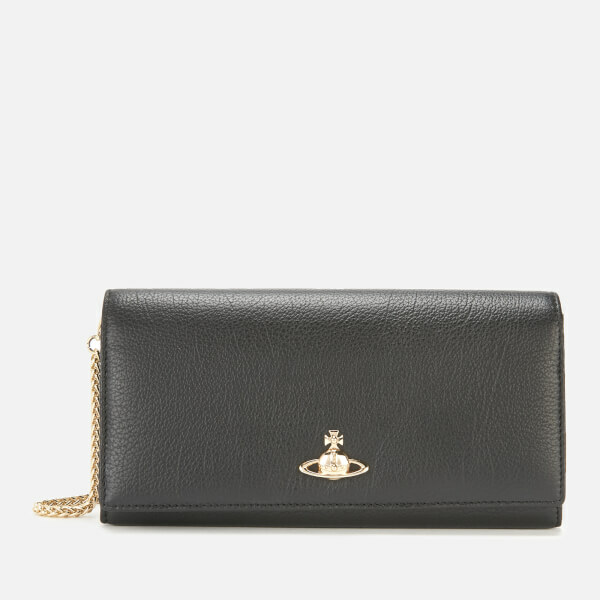 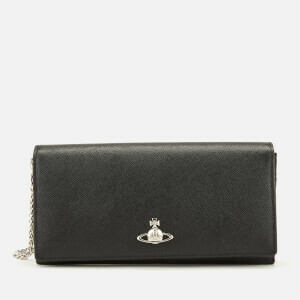 Vivienne Westwood’s ‘Balmoral’ wallet is a classic and multifunctional design that can also be worn as an evening bag. 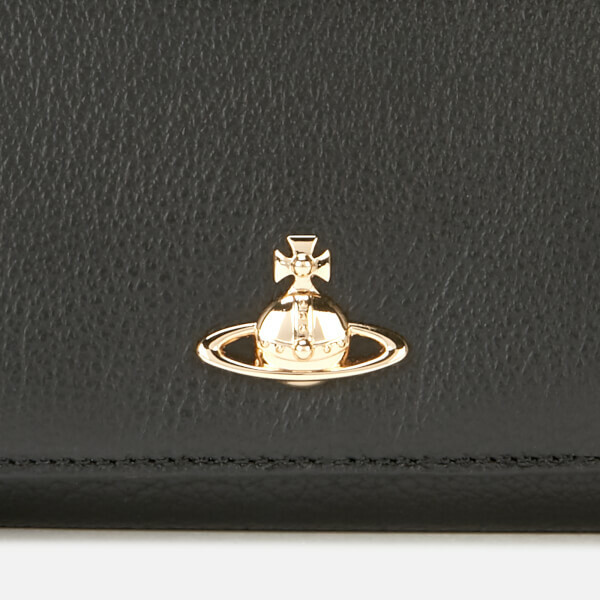 The wallet is crafted from soft black leather and features the brand’s iconic orb emblem in gold, with a co-ordinating shoulder chain strap. 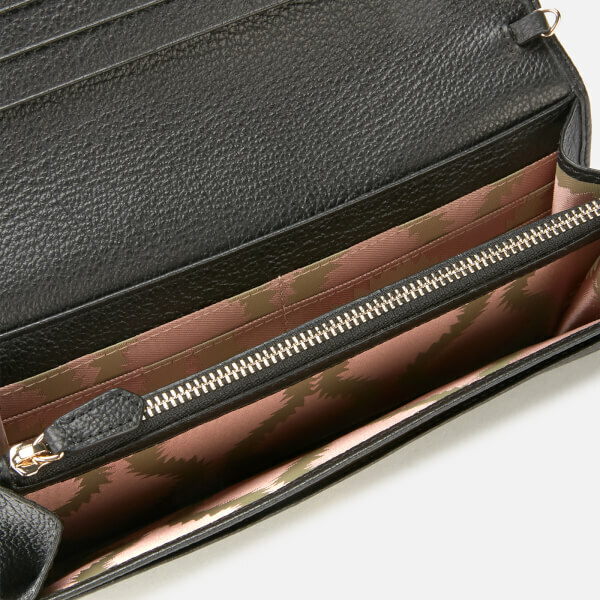 The interior of the wallet is lined with pink and gold squiggle printed satin, and contains a zipped central compartment along with multiple card pockets. 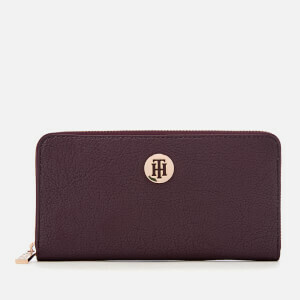 Complete with branded gift-box.